1. I wrote a protest song against getting burned. been a rough week on the 7 1/2 seas. 3. Aren’t all the seas part of the same sea? 4. Why do we have to divide the oceans into 7 Cs? 6. Sometimes I just write things down because I can. 9. You thought I was gonna write spaghetti. —found a bubbly angel to dance with. with his gigantic gay ears wrapped around me. 12. I protest this song about protest. 13. If I had a soul, it would be Joan of Arc as Helen Mirren. 14. If I were an arc, I would curve toward the burning seas. 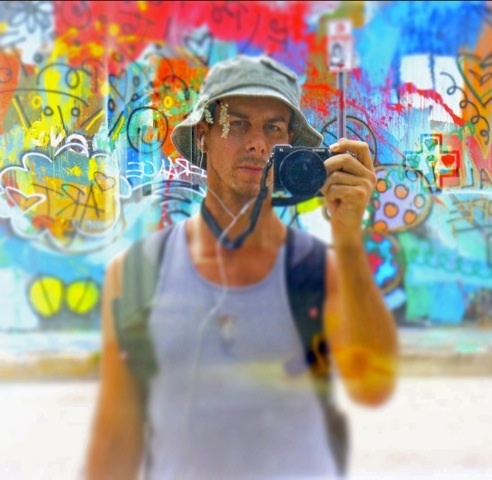 Neil de la Flor is a Miami-based writer, teacher, and photographer. His publications include An Elephant’s Memory of Blizzards (forthcoming Marsh Hawk Press, 2013); Sinead O’Connor and her Coat of a Thousand Bluebirds (Firewheel Editions, 2011),co-authored with Maureen Seaton and winner of the Sentence Book Award; Almost Dorothy (Marsh Hawk Press, 2010), winner of the Marsh Hawk Press Poetry Prize; Facial Geometry (NeoPepper Press, 2006), co-authored with Maureen Seaton and Kristine Snodgrass; and Two Thieves and a Liar (forthcoming, Jackleg Press, 2013), also co-authored with Maureen Seaton and Kristine Snodgrass. He is also the performance arts journalist for KnightArts, an organizational blog maintained by the John S. and James L. Knight Foundation, and contributes to Miami-based arts bureau, Art Burst Miami. Neil is not a magician but he can be reached at www.neildelaflor.com.